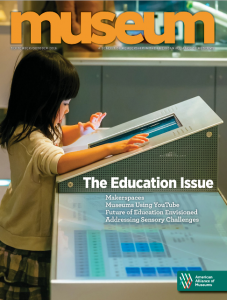 My article on what YouTube can do for museums is out in the September/October issue of Museum magazine! The paper edition went out in the mail; AAM members can read the digital edition online here. Additional resources that wouldn’t fit in my article can be found here!